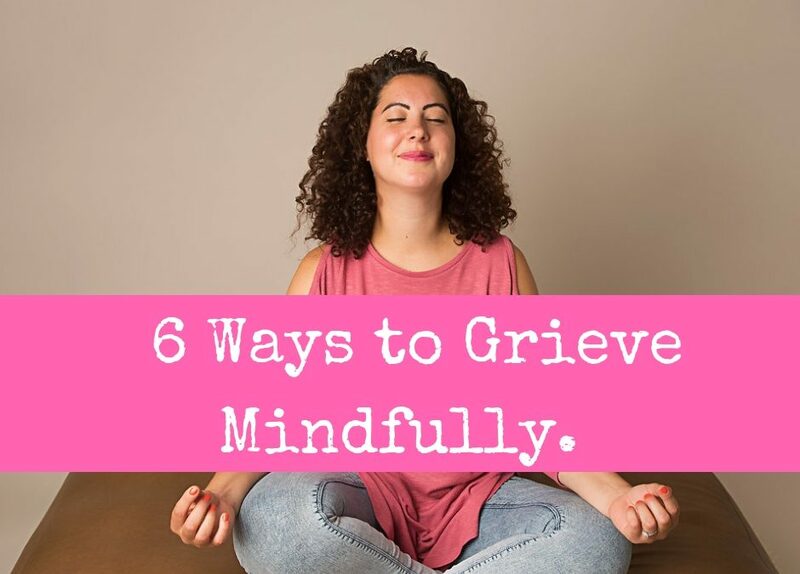 6 Ways to Grieve Mindfully. I remember looking down over my mum and realising she was gone. It was a cold, miserable November morning at home. It felt like I was in a parallel universe. For the next hour or so I remained hopeful that I was wrong, until we finally arrived at the hospital and the Dr confirmed my worst fears. She was definitely gone. What followed in the days and weeks was relentless emotion. I felt severely crippled by my loss and life was completely disrupted to the point where I was engulfed in the grief. I felt like I had no control over my experience. The thing I never knew at the time, was that fighting for control over my grief was not helping. Trying to find ways to control what had happened was a losing battle. What I now know – in all of my “post-loss wisdom” – is that loss is an inevitable part of life and how we approach this fact can make all the difference between the never ending pain and suffering v being more compassionate and understanding towards ourselves when it happens. “If you are open to loss, you are at one with loss and you can accept it completely”. Tao Te Ching – Verse 23. Many people who suffer loss cling to the grief long after the actual pain has left. This is what I did too. But grief is a complex thing and as humans, we find it fraught with unrealistic expectations and the additional pain we often bring on ourselves. For example, why is that some people isolate themselves at a time when they probably need connection the most? Ironically, the act of embracing grief means that we become more mindful of life. Over all of the podcasts I’ve recorded, there’s one thing all my guests have in common. Their experiences of loss has taught them how to live mindfully. Of course, each grief experience is different because loss is unique to the individual. It’s also true that even within your own journey, grief changes minute-by-minute, hour-by-hour. So being mindful of this in the first place, can help you to move forward in your healing. “Grief is like the ocean; it comes in waves, ebbing and flowing. Sometimes the water is calm and sometimes it’s overwhelming. All we can do is learn to swim”. Vicki Harrison. Grieving mindfully doesn’t mean the process is shortened or it completely goes away. It means you can be with the emotions and the grief itself. This will open up a whole new perspective for you which makes it easier to accept and recognise that you are not your grief. It takes up far less precious energy to work with grief than to struggle with it. Take time out from your thoughts. Bringing our mind out of our stories about loss and into the present moment, brings with it a welcome relief from such distressing thoughts. This can be achieved by simply focusing on the breath for a few minutes each day. It’s okay if your mind wanders, just gently bring it back to the breath each time. Takes yourself out of yourself. It’s refreshing and energising to open our awareness for even just a short while to the beauty in the world around us, instead of being preoccupied with our loss 24/7. Look out of the window and find something of beauty to marvel at, or focus on an object of interest in front of you. Spend some time opening your senses to this. Suspend your judgement or expectations. Accept that whether you feel like you’re coping or not coping is irrelevant. Not to ignore it, but rather become your own friendly and impartial observer, free to put down the heavy burden of judging how you feel. You feel what you feel in this moment, and this may change in the next moment or the next day. Bring awareness to your stories. Be mindful of the type of stories that are playing out in your thoughts. We often need to make a more positive shift to a story of compassion, love and kindness, or connection rather than stories of lack and loneliness. Rather than seeing this loss as something happening to you, feel into the stories of others who share your grief. Trust that you will heal. Your body wants to do this. If we’ve learned to practice mindfulness in the midst of both pleasant and unpleasant experiences, we’re much more likely to acknowledge emotions as transient and trust we will emerge from things the other side. What you feel now is temporary and there will be life beyond loss. Centre yourself as often as you can. When the strong emotions come up and make us feel helpless, this will help us to stay grounded and bring us back to the present. If you’re recognise that you’re feeling out of it, this is the time to thank yourself for realising and be mindful about what’s happening. If through mindfulness, you recognise that you’re struggling to function or cope, seek help. Mindfulness is not in place of professional help. It’s an additional practise you can use to support your recovery and healing from grief. 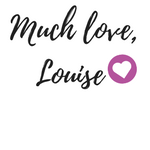 If you’d like to find out more about how we can work together in your grief journey, grab a slot in my diary so we can talk things through.